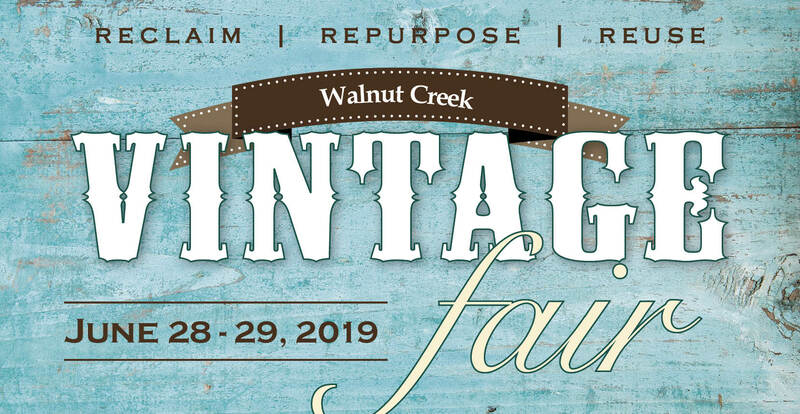 Join us in Walnut Creek for our annual Vintage Fair! If you like garage sales and the TV show "American Pickers," this is the event for you. You never know what you'll find! Find your next project or take home a finished one. Located near Walnut Creek Furniture. This maker's fair features repurposed and reused items, refurbished furniture, rustic signage, antique and "junk" items, candles and more. Now a 2-day event on Friday and Saturday. Located in the field next to Mast Sales and Service and Walnut Creek Furniture. 7am to 3pm both days. Vendors: Please contact us at the numbers below for information. Download 2019 Vendor Contracts below. For additional information, please contact Ruby at 330-893-3383 or Amy at 330-893-2995.